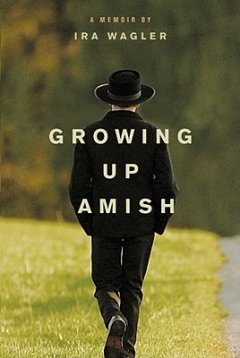 Today we’ve got 6 winners of Ira Wagler’s Growing Up Amish. If you missed the original interview, in which Ira discusses Amish life, family relationships and how he ended up in Lancaster County, you can read it here: Growing Up Amish interview. I’ve tallied up all additional Facebook and blog entries. If you commented more than once in the comments section that is fine, but I only counted the first one as a contest entry. I used random.org to select winners. This part is always exciting. Congrats to the winners and thanks to all for participating. Winners, send me your shipping address (ewesner(at)gmail(dot)com) and I’ll pass it along to Tyndale. If you didn’t win, I hope you’ll pick up a copy of Ira’s book. I think you’ll enjoy it. You can find Growing Up Amish in many places, including bookstores and Amazon. Congratulations to the winners!!! Ira, I really like your style of writing and can not wait until I can buy a copy of the book. It looks very interesting and a very good one to read. Thanks for sharing it with us and having this book give away with Erik! Rats! I didn’t win, but while I was waiting to hear the results, I had a brainstorm. Talk about closing one door and opening another! Every year, two of my favorite non-profits hold silent-auction fund raisers. Someone always donates a “Basket of Cheer” filled with various wines. This year, my husband and I will donate a “Basket of Amish Cheer” to each organization’s auction. First, I’ll order three copies of Ira’s book. (One for me, since I didn’t win.) Then, two copies of Rhoda Janzen’s “Mennonite in a Little Black Dress.” Next time we’re in Berlin, OH, I’ll buy several jars of Mrs. Miller’s jam, Amish noodles, some pickled beets and chowchow. Maybe a package of mix for “shoofly” pie. A copy of The Vendor. A copy of the SUgar Creek Budget, if I can get my hands on a few, Maybe a couple of catalogues from Lehman’s. We’ll shop around for other things to add to the baskets–maybe calendars? Anyway, if any “Amish in America” readers can suggest items, that would be great. HOW ABOUT AMISH PEANUT BUTTER IT IS SOOOOOOOOOOOOO GOOD ANY WHERE THERE IS AN AMISH STORE RESTERANT I AM SURE YOU CAN GET IT. This is a wonderful idea, I love to make gift baskets and an Amish theme is an excellent idea! Thanks. This book really should come with the following WARNING LABEL: Caution do not start reading this book if you have other important things to do; you will NOT be able to put it down and your other important things will be left undone. I picked up a copy at Barnes & Noble while in Austin, TX early Sunday evening and was planning on reading it while on a trip I am taking next week. I started reading it Monday morning when we got home from our little weekend excursion. I kept reading and reading while waiting for the point in the story where things slow down. You know; a natural stopping point. Near as I can tell there aren’t any. Finally forced myself to put it down with less than one quarter of the book left to read. It is that good. Of course the fact that I can relate to nearly everything that happens in the book, save the parts that would only pertain to someone that was raised Amish, helped keep things flowing. Forgot to mention that no Amish live around here, so the baskets will be both fun and educational. Congratulations to all the winners. I can’t wait until the book comes out and I can get it from my local library. Darn, I didn’t win!! Guess I’ll have to get it from the library and hopefully, someday it’ll be on my Amish bookshelf. Now I am intrigued and this book will definitely be one I purchase this year. His speculation about how his name was given reminds me of how my father’s name was chosen. Dad was the fourth of five boys; my grandmother has convinced herself that this one would be a girl. She didn’t have a boy’s name chosen, although my grandfather had (secretly) decided on the old family name of Lloyd. Gran half-heartedly agreed, but couldn’t come up with a middle name – not a good idea in a family where names were repeated generation by generation. My grandfather got impatient and went to the kitchen to ask the “hired girl” if she had any suggestions. “Gilbert, for my boyfriend.” So Dad was registered as Lloyd Gilbert Bragdon, and no one has any idea who this “Gilbert” was. When son #5 came along, Gran was wiser and better prepared, and had chosen the romantic name of Gary Leigh – for Gary Cooper and Vivian Leigh. Now Im going to have to buy a copy for myself, since I didnt win one *smile* Congratulations to the contest winners!! And congratulations again to Ira on having his book published. Great to see all the enthusiasm for Ira’s book. Reading these reactions you can tell it’s a page turner. Oldkat, your comment–or rather your “Fair warning”–captured something about it. I had a similar impression. I am going to Charm ,Ohio for the Doughty valley steam show. I might have to check around Holmes county for this book. I hope to visit some Amish ancestor’s graves while there. I have read Ira’s book and it is one of the best books I have ever read. Saw it at Walmart’s just yesterday, but I ordered mine online a while back and received it a couple of weeks ago. It is a very exciting book. hello, i feel ‘guilty’ saying this – even a bit afraid – but i did not enjoy reading either book. part of it is that they were not what i expected; in ira’s case, i felt it should have been called ‘refusing to grow up amish’; he certainly did not seem to me at all to have ‘grown up amish’! that, of course, is prerogative, but i felt misled. also, sad to say, i was so shocked by his deliberate cruelty to others who were so good to him, and his selfish need to always have ‘the best’ (best buggy, best horse, best fiancee) made for very depressing reading for me. i also felt his ‘conversion’ came too little, too late; i did not get a sense that he truly felt sorry for the immense pain he inflicted. personally, i know what it is like to not fit in with one’s family, so i sympathise with that. but the cruelty! i even felt sickened that he did not call the vet sooner for stud, who perhaps cd have been saved. instead he drove him when he cd hardly walk. was this to avoid being seen with the other, ‘inferior’, horse? so again, i felt it was a misnamed book and very depressing. i would add that in my case, since sadly i experienced a lot of violence growing up myself, i was depressed reading it as it brought back so many awful memories.it is not that i bought in to the bad things they said about me – i always had my self esteem – but the memories were still painful. also, i felt so bad for saloma. one of the legacies of my miserable childhood is that i feel almost desperate to save others from pain! and of course in this case i obviously cd not have done anything. saloma has been kind enough to write me and we have discussed some of these issues, so that was good. in a way, i felt her book cd be called ‘why i left my dysfunctional amish family’, which might more accurately give a hint as to the peculiarities of her case. and, of course, it goes to show that there are awful families in all parts of society, just as there are sons who betray their good parents and alleged sweethearts, as ira did. i think this was important as many people put the amish on a pedestal and this must make it extra hard for those either stuck in bad situations or creating bad situations. i also have an older hardbound book that IS about amish religious studies, how they got started, what the beliefs are, etc, which i found v helpful and interesting. i bought it at amazon.co.uk but funnily it comes from a library in kansas! again, if anyone wants that, i can send it against $5.00 in postage. Ira Wagler has an engaging style of writing. It makes me wonder how Ira’s style compares to his father’s (David Wagler above).